The Crescent Moon sound hole design has become a staple on some Luna Guitar series and continues with the Aurora Series. Luna Guitars' Aurora line offers the perfect beginning also. 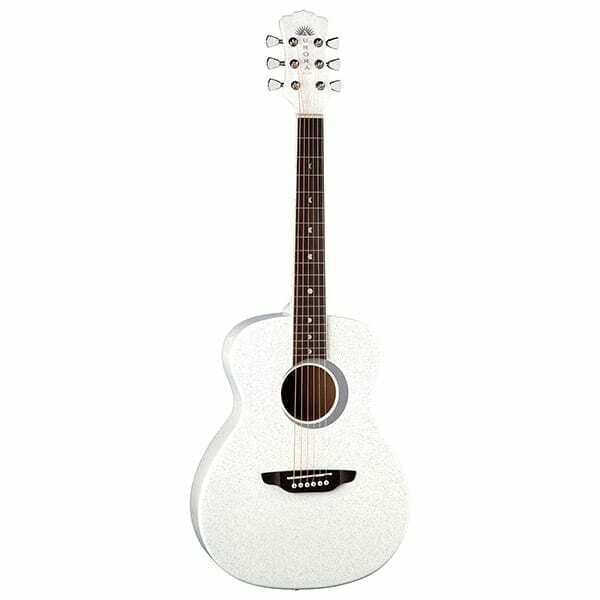 A student guitar line that pairs affordability with Luna's characteristic easy-to-play design features, the Aurora guitars give young players the perfect instruments on which to learn. Sized for comfort, petite cutaway bodies deliver true sound. The necks are adorned with Luna's signature moon phase fretmarkers. Sound holes too, are embraced by a crescent moon rosette, giving the Auroras the same look and feel that grace Luna's full-size models.